TOKYO (April 13, 2018) — Ryota Murata became a star in his home country of Japan after winning a gold medal at the 2012 Olympics. Now a word champion, he will make the first defense of his World Boxing Association (WBA) middleweight title on Sunday against Italian challenger and former European middleweight champion, Emanuele Blandamura, at the Yokohama Arena in Yokohama, Japan. This special, international edition of Top Rank on ESPN will air live on ESPN2 and ESPN Deportes and stream on the ESPN App at 8 a.m. ET, with a same-day replay scheduled for 11 p.m. ET on ESPN2. As for what’s next, provided he beats Blandamura, Murata’s wish list is long. 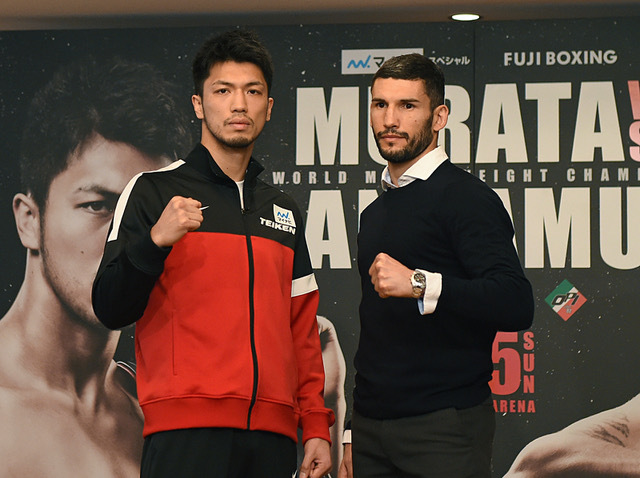 The middleweight division is loaded with talent, and Murata is ready to take on all comers. “I will fight anyone, anywhere, anytime,” Murata said. For more information visit: www.toprank.com, www.espn.com/boxing, Facebook: facebook.com/trboxing, facebook.com/espndeportes; Twitter: twitter.com/trboxing, @ESPN @ESPNBoxeo @ESPNDeportes. Use the hashtag #MurataBlandamura to join the conversation on social media. Next FRANCISCO ‘EL BANDIDO’ VARGAS SCORES STOPPAGE VICTORY AGAINST ‘LIGHTNING’ ROD SALKA IN MAIN EVENT OF GOLDEN BOY BOXING ON ESPN AT FANTASY SPRINGS RESORT CASINO IN INDIO, CALIF.